While being a work-at-home professional can be rewarding, sometimes it can be hard to settle in and start working. Without others around you to share ideas, it may be difficult at times to come up with fresh thoughts and notions. And face it, some days we all lack motivation. So, what can you do to ensure you are always productive while working at home? 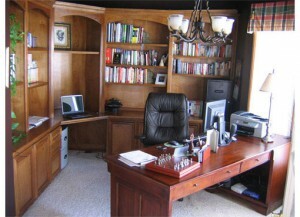 Create an office that you love – one that promotes positive thinking, ingenuity, productivity and a little fun. The tips below will help your decorate and arrange your office in a way that you will feel motivated, creative and fruitful. · Create a short list of professional goals (two or three) and review it often. Remind yourself often that you WANT to achieve these goals. Keep it in your desk or hang it on the wall where you can see it. · Surround your desk with things that inspire you from a favorite quote to a recent project that was a huge success. · Bring the room to life by adding a potted plant or vase of flowers to the room. · Open the curtains and let the sunshine fill the room. · Invest in various organizational bins, baskets and tubs and make a point to keep your files, supplies and other items organized. · Add a personal touch. Place a framed family photo on your desk or add an object that was given to you by someone special such as a pretty vase or a handmade pillow. · Simulate your senses with rich color and texture. Use colored file folders instead of the typical manila folders. Include a few wicker baskets and wooden crates instead of using all the typical plastic storage bins and tubs. Consider a wooden desk and a comfortable chair covered in your favorite color fabric. · Include something with sparkle or shine such as hanging a mirror on the wall or using chrome drawer pulls on your desk. · Have fun with a funky patterned lamp shade or area rug. · Keep the tools and supplies you use the most close at hand. If you are a writer, keep the thesaurus you grandmother gave you on your desk. If you are an artist keep a sketch book and your favorite pencil nearby. Remember this is your office. It must suit your needs and stimulate productivity delivering positive results at the end of the day. Decorating all of the rooms in your new house can be a bit overwhelming. 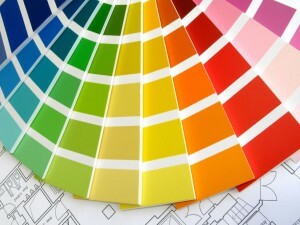 Should you start with a color scheme, a piece of artwork that you love or choose the furniture pieces first? With so many different decorating styles, themes and personal tastes, there really is no specific flow when it comes to decorating an entire room from start to finish. However, these decorating tips and ideas will help get you started. · If the room has a focal point such as a fireplace, flat screen TV or array of windows with a fantastic backyard view, start with the focal point. Determine the key pieces of furniture you will need and how you will arrange them to complement or take advantage of the focal point. 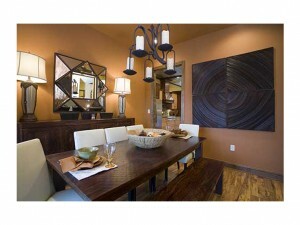 · If the room does not have a focal point, you should start with the main furniture pieces you’ll need for the room. Consider each piece’s form and how you need it to function. · When picking out furniture, keep in mind that it will be a lot easier and less expensive to freshen up or update the room by swapping out accent pieces rather than buying all new furniture so you may want to choose furniture pieces that can mix and match with various styles. 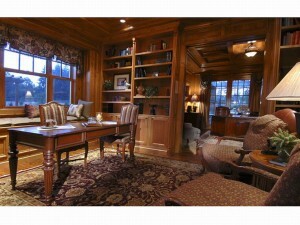 · Your furniture will set the style and mood of the room. The fabric, wood finishes and chrome/metal/glass accents will help you determine a color scheme. · If you have a particular accessory that you want to include in a room, the accessory may help determine what style of furniture you choose. A modern painting might lend itself to a black leather couch while an antique vase might lend itself to a pair of elegant armchairs with wooden legs. Maybe you have a brightly colored ceramic bowl that you’d like to display in the dining room. Look for a dining set that offers seat covers in a color that complements the bowl. · There is an endless supply of paint colors available to complement the fabric and wood finishes of your furniture, so think about your furniture style, colors and finishes when selecting paint. · There are no rules about what pieces of furniture should match in a room. This is truly personal preference. If you prefer your end tables match the coffee table and sofa table that is your choice. If you like how a skirted couch looks with a club chair put them in the room together. Often mix matched furniture pieces make a room look lively and inviting. · Be aware of the size of your room and the size of the furniture you choose. If you have a big room or an open floor plan with plenty of walking space, an overstuffed sofa might fit in well. However, is you have a small room, stay away from the stuffed couches and chairs. 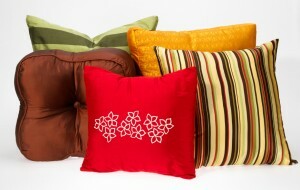 Instead, try to include a smaller loveseat with a streamlined look that shows off your tastes. · Give a room character with windows treatments. If you want a rich, lush and elegant look, long heavy drapes will do the trick. For a light and airy feel, white or pastel color sheers will be just the right touch. · Incorporate lighting. How many lamps do you need? Do you need a floor lamp or table lamp? Will track lighting work? Consider recessed lighting or a spotlight to highlight the focal point of the room. Will a ceiling fan with lighting be practical and complement your decorating style? · Add accent pieces to the room. Incorporate various textures and patterns. Consider a woven rug and a wooden end table, floral print and solid throw pillows, wicker baskets, pillar candles resting on small round or square mirrors, silk or beaded lampshades, etc. These helpful decorating hints will help get you started decorating your new home. But before you make any purchases, you may want to consult an interior designer or browse some decorating magazines and websites for more ideas.